Other business offers ads in Sunshine Coast. Thank you for visiting our free advertising website Other business offers, Sunshine Coast section. We provide high response free classifieds and free advertisement. Use our online free Other business offers classifieds placement system to find, list, offer Other business offers online! 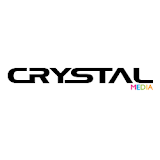 Crystal Print Media group is one of the best print suppliers in north Brisbane. We are print brochures, booklets, signs, banners, stickers, letterheads, flyers, posters, folders, envelopes, and a magnet. We have an excellent design team to design your online brochure and business cards. We design your all business stationary with high-quality color print. An amazing innovation of Australia wide annexes Camper Room. Its one of the strongest and the most convenient awning for all wind up campers. Have fun with your wind up camper in a home-like comfort and feel at ease with its friendly set up! To know more visit us at: https://www.australiawideannexes.com.au. “Wedding photographer Sunshine Coast Australia”- David Lynne Photography is a family owned professional photography business based on Sunshine Coast, but travel far and wide for wedding photography. We love to photograph weddings, engagements, food + beverage, real estate, corporate, in fact anything at all. Midday Aluminium is industry expert in Aluminium gates, Sliding & Pedestrian Gates, Balustrading, Privacy screens, Boat Repairs and Pool Fencing on the Sunshine Coast. Visit our site www.middayaluminium.com.au or call us on 0414 776 102.. It is important to move your car without any headache at the time of relocation whether it is really practical to move your car or not. Interstate removalists provide reliable and cheap transport service to move your car carefully by professional. For more information visit us at: http://www.interstate-removalists-directory. Stephanie plans, designs and officiates at ceremonies for Weddings, Vow Renewals, Love Commitments, Name Givings, Corporate Events, Milestone and Special Occasions as well as at Funerals and Memorials. Stephanie will also conduct Marriage Ceremonies in Japanese on request. For More Information about Wedding Celebrants please Contact at: http://www. Fully set up Personal Training Business with clients FOR SALE on the Sunshine Coast!!! We are reluctantly selling our Personal Training business in Caloundra due to a move south for university. We need a great trainer who can continue our good work and look after all our lovely clients!! The studio has minimal outgoings and is in a great location 5 minutes walk from a beautiful beach. Australia free ads for Other business offers, Sunshine Coast, Other business offers free ads Sunshine Coast, Other business offers for sale Sunshine Coast, Other business offers to buy in Sunshine Coast. Find on this page free classifieds for Other business offers in Sunshine Coast. This listing includes classifieds for sale and to buy in Sunshine Coast. FREEADSAustralia Sunshine Coast offers you a platform to post free advertisements or classifieds for Other business offers in Sunshine Coast. FREEADSAustralia helps you search, find buy, sell, rent or hire in various categories like apartments, goods for sale, local services, cars , jobs and many more in Sunshine Coast. If you posted an advertisement in category Other business offers of FREEADSAustralia Sunshine Coast before please use Edit my ads button to change or cancel your ad. Other business offers Sunshine Coast ads Sunshine Coast, Other business offers classifieds Sunshine Coast, Other business offers free ads Sunshine Coast, ads for sale Sunshine Coast, ads to buy Sunshine Coast, FREEADSAustralia. Find here ads for sale, to buy and rent in Sunshine Coast. Goods for sale in Sunshine Coast, vehicles for sale in Sunshine Coast, Sunshine Coast real estate for sale, Sunshine Coast property for sale, property for rent in Sunshine Coast, business ads in Sunshine Coast, Sunshine Coast business classifieds, services in Sunshine Coast, Sunshine Coast services ads, jobs in Sunshine Coast, pets for sale in Sunshine Coast, Sunshine Coast dating, Sunshine Coast cars for sale.